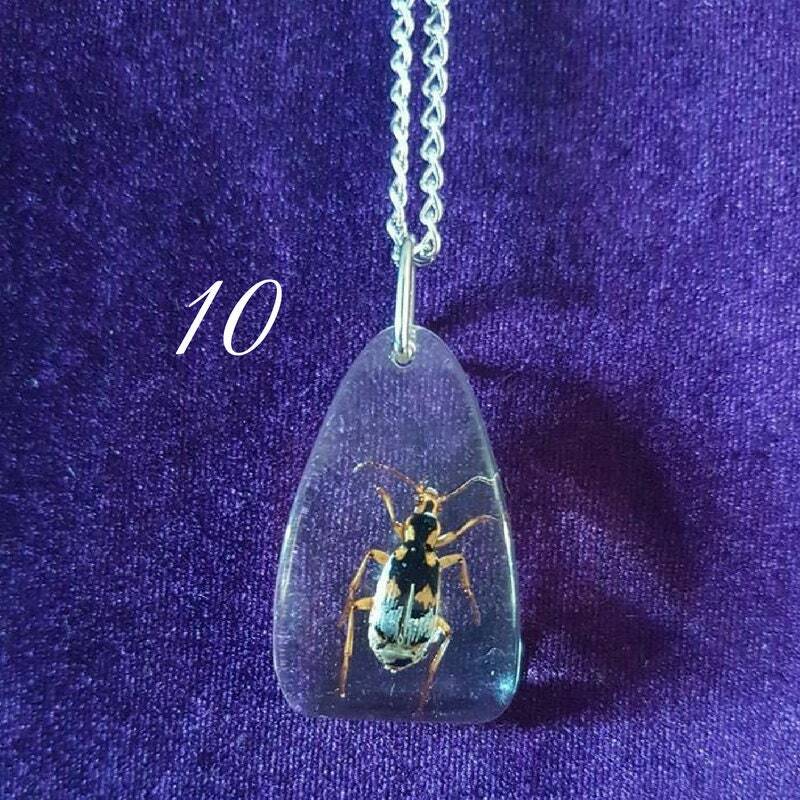 10 Different Insect Resin Pendants. 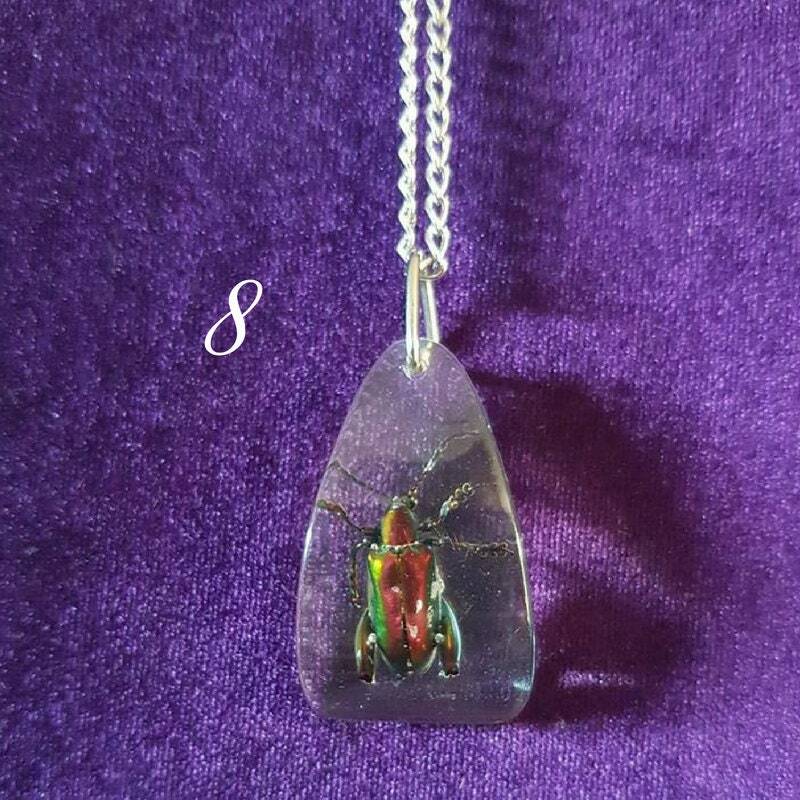 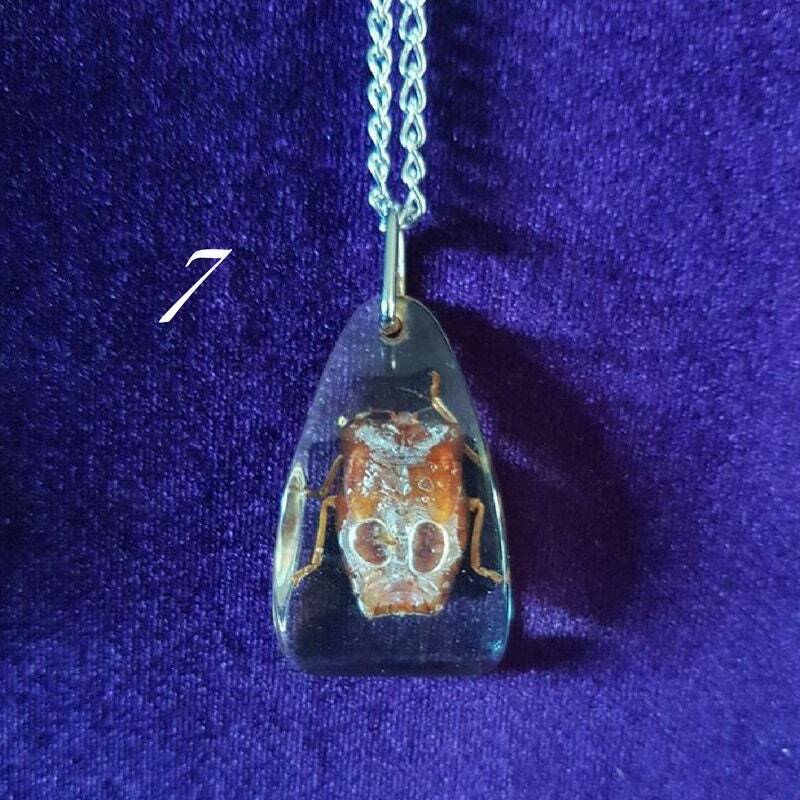 Pendants are made out of resin with different sorts of insects. 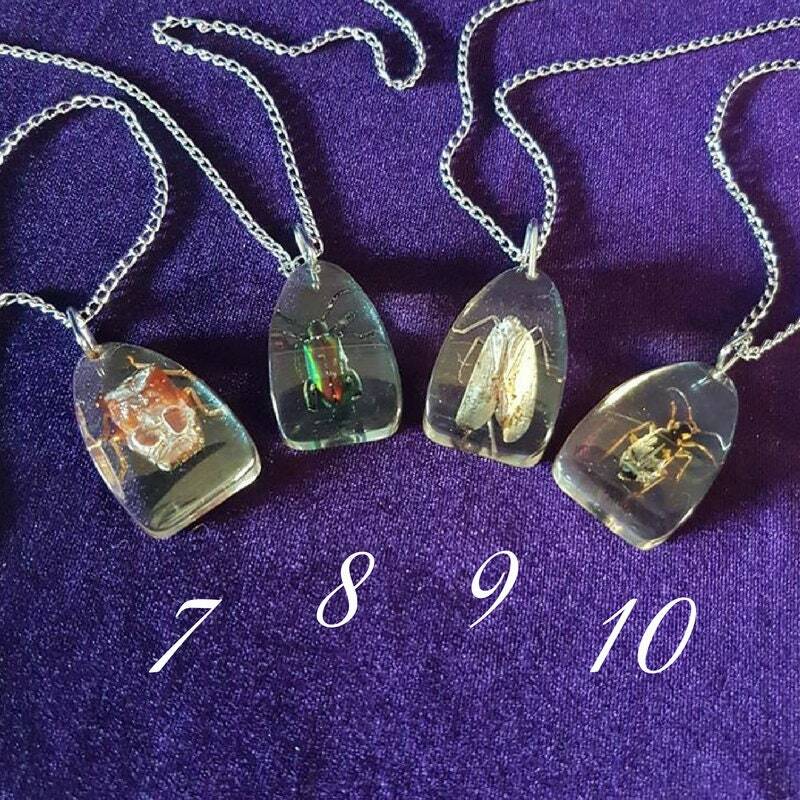 10 Sorts available, make your choice in the dropdown box. 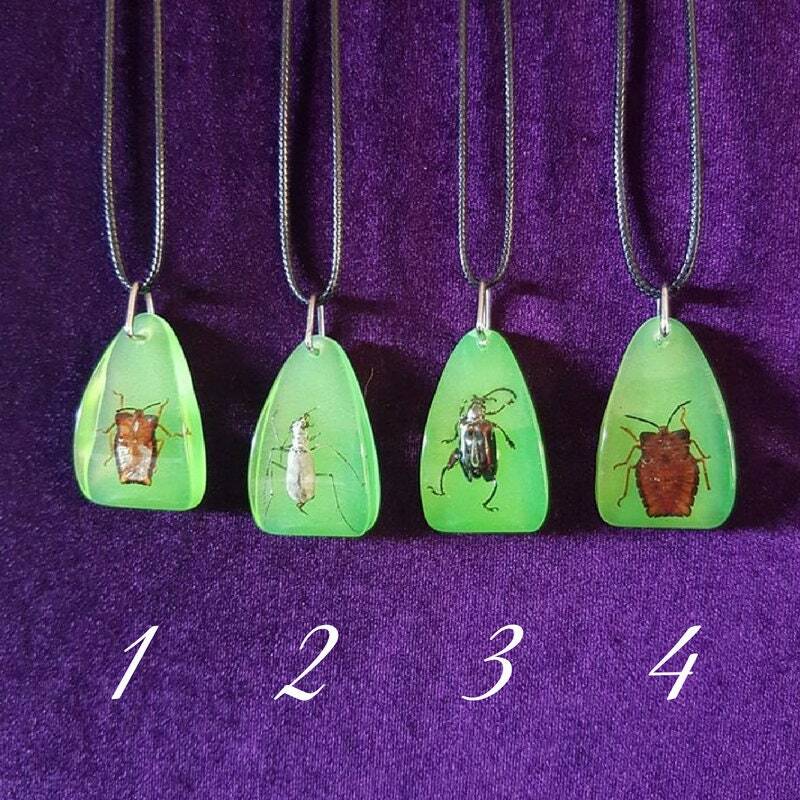 1-4 = Glow in the dark & black waxcord. 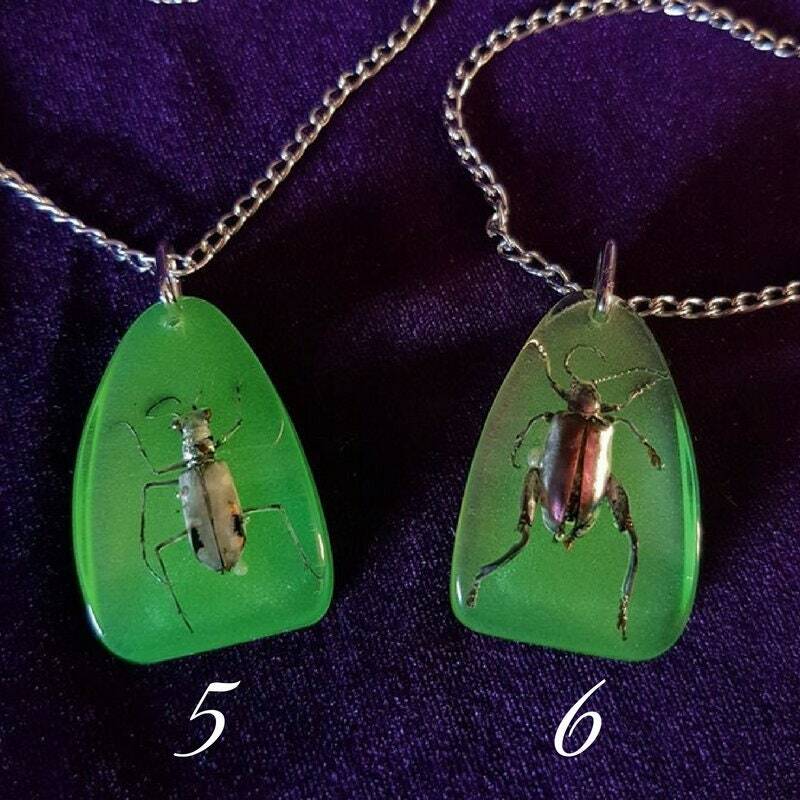 5-6 = Glow in the dark & silver colour chain. 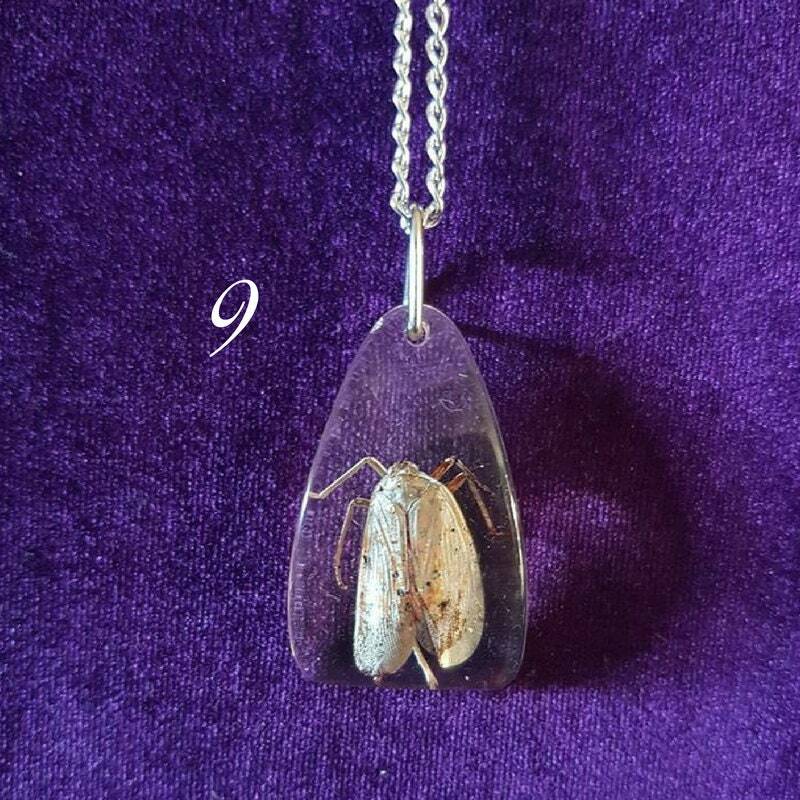 7-10 = Clear resin & silver colour chain.